What Does Your System Produce? How would it feel if you could help 50 families buy, sell or invest in real estate every year? 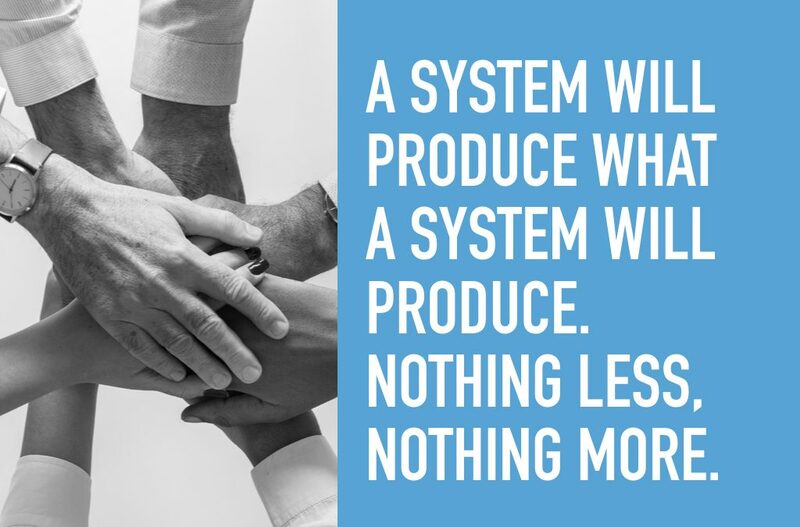 A system will produce what a system will produce… nothing less, nothing more. So I’m curious, what is your system producing for your business? Are you happy with that result or do you want more? If you want more, read on. Are Your Systems Producing Reliable Results? Let me clarify. For some of you reading this blog, losing weight might be an example you can relate to. Losing 10 pounds is a GOAL. Changing the way you eat for life is a SYSTEM. Many of you have a goal of helping 20 or more families buy, sell or invest in real estate this year. That is a GOAL. What systems do you have in place to ensure that outcome? As a real estate broker and later as a real estate business coach, I’ve seen, reviewed and put into practice virtually every system out there. In my current view of the business, the perfect place to start is with Gary Keller’s three L’s from The Millionaire Real Estate Agent: Leads, Listings, and Leverage. Next-level agents – those that run their business as a business – implement real estate systems to handle each of the three L’s. Let’s dig in. Leads are the lifeblood of your real estate practice. Without leads, you have no clients and no deals. Systemizing your lead generation and conversion processes will result in more clients and more successful transactions. One such system is outlined in The Millionaire Real Estate Agent, which outlines a system to move prospects from your outer circle to your inner circle. In the book, we learn 2 prospecting categories and 11 marketing categories to choose from and implement. Exploring all of them would spread you too thin, yet having a plan to start with one and “add one” each quarter is a solid process to build a strong real estate practice. Eight by eight – everyone you meet goes into a campaign with the purpose of establishing a relationship. Once a week for 8 weeks you make some type of meaningful contact. Text, follow up call, email, social media direct message, handwritten note. Get creative and systematize it. Thirty-Three Touch – everyone you know goes into the 33 touch program. 18 touches via newsletter, cards or drop-offs; 8 thinking of you touches; 3 telephone touches; 2 birthday touches (both partners); 1 touch each for a special holiday. Get creative – old media and new media – and systematize it. Twelve Direct – for those people you have not met in your target market area. 12 direct contacts a year. Get creative and systemize it. Move Prospects From Your Outer To Your Inner Circle. For every 12 people on your “met” contact database – when you follow this system – you can reasonably expect to net 2 sales… either a direct sale or a referral for a sale. Do you want to do 5o sales this year? Then a solid database of 300 people using this system can produce that result. For every 50 people in your “not met” database you can reasonably expect 1 sale. You want to do 5o sales this year, then you’ll need 2,500 people in your not meet database. If you want to run an efficient real estate business, focus on gaining more listings, not more buyers. Listings require less time and allow you more scheduling flexibility… you don’t have to work around the clients’ schedules nearly as much as with buyers. You can also be more confident in your ability to collect payment as a seller’s agent than as a buyer’s agent. We’ve all had buyers cut us out of a deal at one time or another. And even with a buyer’s brokerage agreement, forcing payment of commissions can easily get contentious. It’s a headache you just don’t need. So work with well-qualified, sense-of-urgency buyers, but focus your efforts on earning listings from sellers. Listing presentations: what can you show prospective sellers during your listing presentation that will distinguish yourself from your competition and help your sellers feel comfortable contracting with you? Staging: how will you help your sellers stage to sell? Property marketing: how will you promote your new listings? In our market, your marketing needs to be like the new home builders. 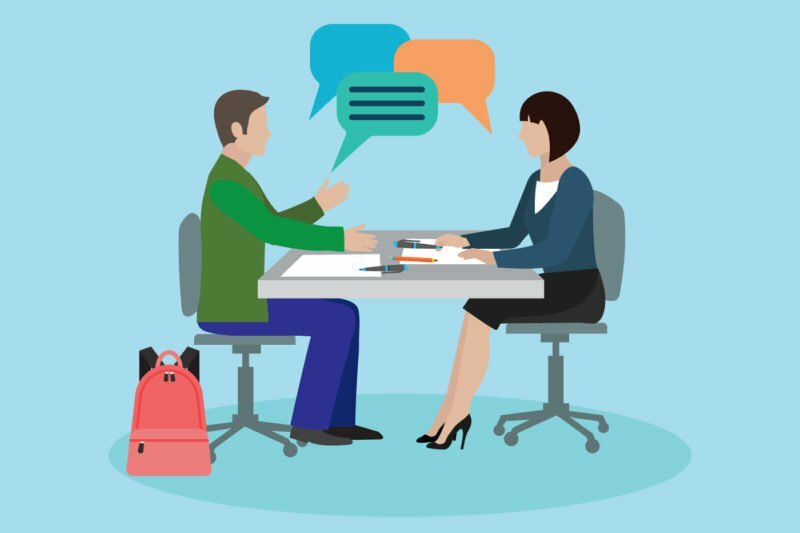 Client communication: when and how will you be in touch with your sellers while the property is on the market and under contract? Leverage is all about finding and utilizing resources to help you scale your business. Perhaps you could spend more time landing more listings if you hired a transaction coordinator to manage the paperwork for your pending deals. Or you could spend more time on income-generating activities if you hired an assistant to handle the administrative aspects of your practice. Leverage your resources to help you serve more clients and increase your revenue. Assistants: what tasks can you delegate to an assistant (as an employee or even as a freelance virtual assistant)? Buyer agents: as your business grows, you may find you need a designated Buyer’s Agent to handle your buyers. Automation software: can some of your tasks, like social media posts or email campaigns, be handled by automation software? Your CRM… without a solid CRM and CRM process you are not in business you simply have a hobby. Feeling overwhelmed? Good, that’s the place where all growth begins. Break it down into small chunks and get started today. If you have not read my article Delegate, Automate or Eliminate, now would be a good time. Need a business coach? Schedule a consult with us today. Staying relevant in today’s fast-changing world is top of mind to many of my friends and business associates. A University of California, Berkeley study clearly shows the fastest growing “thing” on this planet is the amount of information we are generating. In fact, information is expanding faster than anything else we create or can measure over the scale of decades. With the rapid increase in information and the changing popularity of online, radio and TV news how do you and your business stay relevant? You might expect me to say, Facebook, Twitter, LinkedIn or YouTube. While these tools have a role in relevancy, they are simply tactics of a much larger strategy. To stay relevant today you need to have a “Flexibility and Fast Learning” strategy in place. Flexibility, just means you allow the possibility that some of these seemingly inane developments might be beneficial and you should not dismiss them out of hand because, well, that’s where the action is. 3. Checking to make sure those changes match your values and goals. If yes, move to step 4. 4. Fine-tune the plan you need to make that change. 5. Act on your plan to change. 6. Review the change after some time to ensure you are on course. 7. Go back to Step 1 on a regular basis. According to KM World, learning before, during and after everything you do is a must in staying relevant. The results of methods such as peer assists (learning before doing), action reviews (learning while doing), and after action reviews (learning after doing) are well-known. If you are not applying those techniques in your business, projects, and teams, you are not staying relevant. Start now. What is supposed to happen today? How will I know if I’m successful? What knowledge do I need to get what I want to be done, and where can I get it? What was supposed to happen up until now? Why are 1 and 2 different? What can I learn and do about it right now? What stands out for me that is new or different? What should I repeat next time I do this, and why? What should I do differently next time, and why? Who else may be facing similar challenges and might find this useful? To remain relevant, you need to have a “flexibility and fast learning” strategy in place. 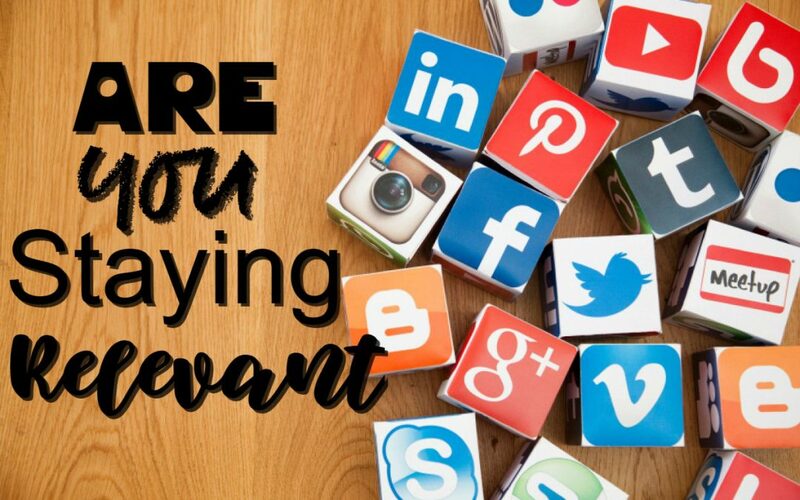 Facebook, Twitter, Instagram, and YouTube are tools and have a role in relevancy, yet keep in mind they are simply tactics of a larger strategy.